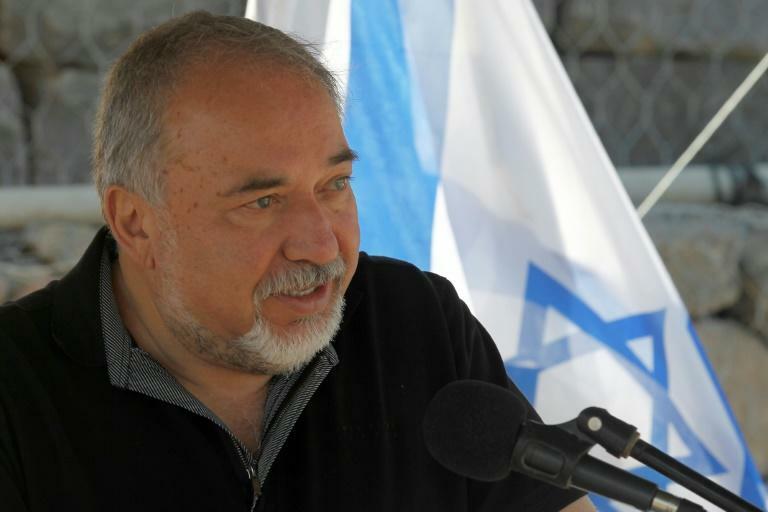 Defence Minister Avigdor Lieberman said on Thursday that Israel will not be bound by whatever agreements the international community may reach on Syria after its civil war. Speaking on a visit to the Israeli border with Lebanon, Lieberman said his government would scrupulously observe existing agreements with Syria, with which it which also shares a frontier. Government forces have been massing around Syria's northwestern province of Idlib in recent days and look poised to launch what could be the last major battle of the seven-year war. "We see various gatherings here and there; in Ankara, in Tehran, in Geneva, in other places too. They are talking about redesigning Syria after the battle for Idlib," Lieberman said in English. "As far as the state of Israel is concerned, with all respect and appreciation for all agreements and all understandings, they are not binding on us," said the Israeli minister. "What obligates us are solely the security interests of the State of Israel. All other understandings and agreements that are reached in all kinds of places are simply irrelevant from our point of view. "We shall observe to the letter all previous agreements." After the 1973 Yom Kippur War, Israel and Syria agreed an armistice which included a demilitarised border zone. The two sides have never signed a formal peace treaty. Turkey, Russia and fellow regime backer Iran all operate "observation points" in Idlib as part of a "de-escalation" deal agreed last year that was meant to reduce bloodshed in the province. Israel has stayed out of the protracted civil war but insists that Iran, the Jewish state's arch-foe, withdraw its forces from Syria, which it sees as a threat. Lieberman also told Israeli residents living near the Lebanese border that he had budgeted more than $60 million (51 million euros) to strengthen civil defence in the area, particularly in improving public bomb shelters and blast proofing of "educational institutions". Iranian-backed Lebanese Shiite group Hezbollah is said by Israel to have tens of thousands of rockets that could be used against the Jewish state. In 2006, Hezbollah fired 3,970 rockets into Israel during a 34-day war, according to Israeli authorities. More than 1,200 Lebanese, mostly civilians, and 120 Israelis, the majority soldiers, died in the fighting.